This morning, the US Dollar Pound Sterling (USD/GBP) exchange rate remained muted, and the pairing is currently trading at an inter-bank rate of £0.7535. Unemployment data released this morning suggests that Brexit anxieties have not hit the UK labour market. UK unemployment dipped from 4% to 3.9%, the lowest level since January 1975, hitting a new 44-year low. Employment also rose to a new record of 32.7 million people in employment in the three months leading up to January. This was the highest figure since records began. Data also showed that wages continued to grow, as basic pay rose by 3.4% between November and January, meaning that real pay rose by 1.5%. Sterling (GBP) rose against the US Dollar on Monday afternoon following an announcement from the UK House of Commons Speaker, John Bercow. In a surprising ruling, Bercow ruled out a third ‘meaningful vote’ unless Theresa May made substantial changes to her withdrawal agreement. The Speaker cited a rule dating back from 1604 which states that a defeated motion could not be brought back in its same form during the course of a parliamentary session. The Prime Minister is due to meet with her cabinet later on Tuesday to consider her next steps, with Brexit Minister Kwasi Kwarteng suggesting that the government was hoping to request an extension to Article 50 from the European Union. While there are fears that the UK will crash out of the EU in a no-deal Brexit, Bercow’s ruling meant further short-term uncertainty. 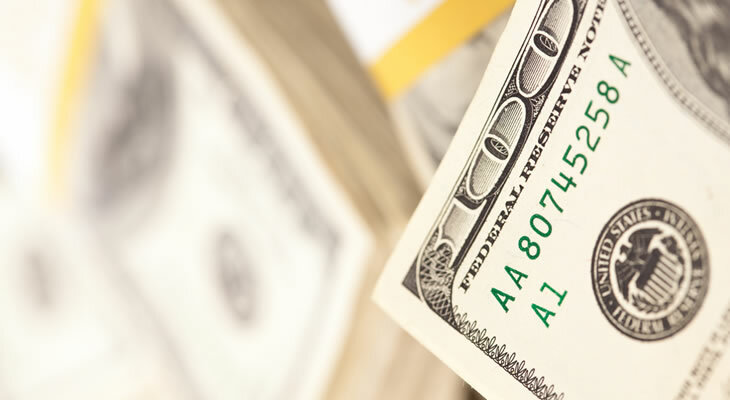 The US Dollar (USD) slipped against Sterling (GBP) overnight, with the pairing currently rising slightly. The Dollar has likely been weighed down as markets expect the Federal Reserve to strike a dovish tone this week. Bets on an interest rate cut have increased following the weaker-than-forecast manufacturing data at the end of last week’s session. US Dollar Pound Outlook: Will the USD/GBP Exchange Rate Rise on Better-than-Forecast US Factory Orders? Looking ahead to this afternoon, the US Dollar (USD) could rise further against the Pound (GBP) following the release of January’s factory orders. If factory orders rise by 0.3% or better than forecast, it could buoy the ‘Greenback’. Wednesday is likely to see further movement in the pairing as the UK Retail Price Index (RPI) is due for release. If retail prices rebound by 0.7% in February from January’s contraction of -0.9%, it could buoy Sterling. The UK Consumer Price Index (CPI) is also due for release, which could cause the Pound to slide against the US Dollar. If the CPI rises by 1.8% as forecast or slips below this figure, it could cause the US Dollar Pound (USD/GBP) exchange rate to rise as inflation fails to meet the Bank of England’s (BoE) inflation target of 2%.